We previously wrote about how collectors must mark your account as “disputed” on your credit reports when you dispute it. But why don’t the debt collectors want to do this? There Is Only One Reason Debt Collectors Credit Report. Collectors will act pious and say they owe some obligation to creditors around the world to report you as being in collection. That’s complete garbage. The only reason collectors report on your credit report is to force you to pay them. A $75 collection account can be as damaging as a $10,000 collection account. Any collection account can trash your credit report. Collectors know this will get your attention and cause you to pay. If You Owe The Debt To The Collector, This Is Fair. If you owe the debt to the collector, and the reporting is accurate (dates, amounts, status, etc), then it is fair to report it. The fact that the credit reporting hurts you is simply a consequence. But what about when you don’t owe the debt — the amount is wrong — the dates of when you defaulted are wrong — etc.? If It Is False Credit Reporting, Then It Is Illegal. I gave a seminar one time to primarily debt collection attorneys and a few consumer attorneys. To illustrate it I brought out a large knife. Accurate, truthful credit reporting is fine. It is a powerful effective tool to prompt payment. A deadly weapon that easily turns in the hand of the collector and winds up in the collector’s chest. Collectors that credit report have enormous power. They better use that power carefully and properly. False credit reporting is one of the most effective and valuable types of suits that we bring under the Fair Debt Collection Practices Act (FDCPA). So if you have absolutely false credit reporting, either dispute it through the credit reporting agencies (using the Fair Credit Reporting Act) or sue the collector under the FDCPA. But if you are not sure if the reporting is accurate, or if you have just received a collection call or letter, consider sending a simple dispute letter to the collection agency. Send the letter we described previously informing the collection agency you dispute the debt. Or you can do it over phone but it is easier to prove if you have a letter you sent certified. Debt collectors often won’t do this. When they don’t, we normally sue them. So why do they knowingly break the law and risk being sued? Remember the one reason they credit report? It gives them great leverage to force you to pay — even if you don’t owe the debt. 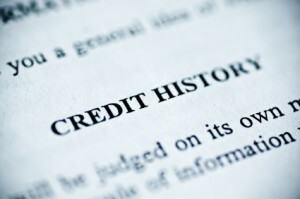 But if the account is marked as “disputed” then often the negative effect of the credit reporting is lessened. The negative effect is lessened? But that’s the whole reason the collector reports! But the collectors can be sued! Do you like the analysis of the abusive debt collector? Do you think it is right that they arrogantly break the law? Arrogantly have an unfair business advantage over honorable debt collectors who follow the law? If the collector is doing this to you, then at least consider stepping up and fighting the good fight. I know it can be scary to face these bullies but the FDCPA is a powerful weapon and if you have a lawyer that you trust by your side, you can do heroic things. Eventually these abusive collectors will realize it is bad business to abuse consumers in Alabama — too costly. Do you part. Take action now. If you have any questions, or you would like to make a game plan, give us a call at 1-205-879-2447. You can also fill out a contact form and we will get in touch with you as soon as possible. We will be glad to help you with any questions you have about your credit reports or how to handle these guys. I’ve disputed several items on my credit reports lately and they all say that the items are currently being disputed by consumer. I did not know that this status essentially makes the negative mark invisible or not count against my credit report once it is disputed though. That is good information to know. Glad you liked the information. Sometimes mortgage companies don’t want “disputed” debts — it really depends on what you are applying for and with who. Regardless, I think it is almost always a good idea to dispute collection accounts to figure out who they claim to represent and how they claim you owe the money. If the industry wasn’t run through with scam companies it would be different but so many people get burned by paying the wrong company it is better to be safe than sorry….